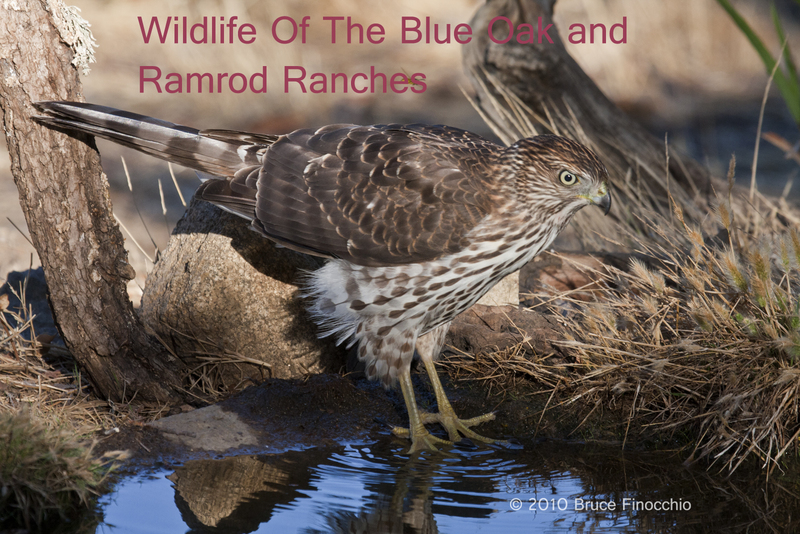 (The land, bird, and wildlife images of the Ramrod Ranch in Rural Monterey County, California with text) A labor of Love!!! It all started for me because my dad was a deer hunter. He wanted a place of his own to go deer hunting. From the Pinnacles in the early 40s, to the “640” in the upper reaches of Reitz Canyon, now to the Ramrod Ranch in the middle reaches of Paloma Canyon–a tributary of the Arroyo Seco River. As a young boy, this became my place to explore, to learn about wilderness, to seek adventure, find the mystery of life, and touch the spirit and soul of wildlife. I rejected my father’s way; hunting wasn’t my way. I learned to love life, to see the spirit of life in animals, and to feel the rhythms and seasons of the earth. Now I try to capture the beauty of life in each image I make. Images that will sing to your heart, resonate deeply in your being with each look, with each glance; images that will draw you back, again and again to view them. I see myself as a steward of the land: to care for it, to help the wildlife through the difficult times, most of all to let nature be nature, and just leave it wild. I love this land; it’s in my heart and in the very fiber of my being and always will be so. First I shared it with my friends, now I do bird blind photography workshops, so I can share it with like-minded individuals who love photography, wilderness, and wildlife like I do. So I dedicate this book to my father and his hunting friends who gave me a place to dream, and my close photography friends who shared many happy and incredible wildlife moments with me at the Ramrod Ranch. I hope that those who come to visit will feel my love of the land, be touched by its wildlife, and come away with many incredible wildlife moments that will touch their spirit and soul. With my neighbors, Judy and Chris Harrold, we will continue to preserve the land and its wilderness for many years to come, so future generations will feel its soul, experience its wildlife, and learn the meaning of wild places.